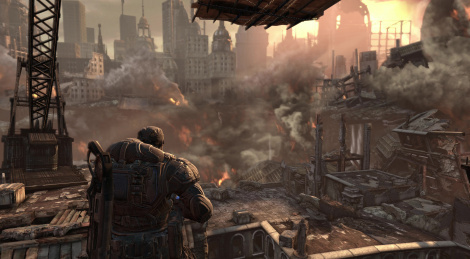 Among the Xbox 360 titles that got improved thanks to a recent update of Microsoft's powerful emulator, there was a certain Gears of War 2, now playable in 4K. Time to stir up a little bit of nostalgia in ultra high definition, the best of both worlds some might say! Pretty impressive, would be good (but nearly impossible) if they can emulate the ps3 on ps4 pro. Looks really good for a free 4k update. maybe so. UE4 has gotten incredibly beefed up over the years. "Snappers Mocap" showed the amount of hyper realism you can get out of UE4 last year. 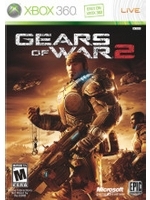 The Coalition should pair up to make Gears5. their most realistic gears ever. I’d honestly rather they just not make gears. Give them Shanghai heist back and inject something new into MS’s offerings. A game based on "The Samaritan"
A game based on "Infiltrator"
Or Twin Blast's own game. take your pick. all seem pretty interesting. Sadly, Sony's idea of backward compatibility is through a paid streaming service. While the xbox is making previous-gen games compatible with UHD graphics, Sony is opting for streamed 720p with lag and compression artifacts. I tried it yesterday it really does look awesome. MS is doing an epic job, they just need to crush it at this years E3 with a bunch of cool new games and they will be good to go. Gears 4 was what it needed to be - a very good game for a new dev to relaunch the series. Now they can try new things and push the envelope more for 5. Not fair, I want an Xbox One X. This looks awesome. You buy into the hype way too much, the Xbox One is not really "emulating" the Xbox 360 as much as you have to download and entire game just to play it... you are not just popping a disk and playing it under true emulation. Hence the notion that PS4 can "emulate" PS3 is absurd just as much... they are far better off making "4K HD Remakes" because at least there you may actually gain new assets, higher quality textures (see The Last of Us and Uncharted and Dark Souls"
It works that way (having to download a game package) because that's how the Xbox One is made, it never play a game straight from the disk, only from the HDD so it has to be installed/downloaded first. A 360 (or OG Xbox) game on Xbox One is just the original game (ISO or whatever, but untouched code) packaged with an emulator into a native Xbox One app package. This way the Xbox One loads up a game package (which is an emulator) that loads the 360 or OG game, that's all. And the X enhanced 360 games are simply using a different setting in the emulator to force a resolution 3 times higher in both directions (720p results in 2160p). The same trick is used for every OG Xbox games but by 4 times on X and 2 times on S (and base Xbox One). I was shocked at how good this looks. Such a fantastic game. Going back to gears 2 and 3 in 4K has been such a blast. Now for red dead and portal 2. Can’t wait!